From writer/director John Landis (ANIMAL HOUSE, THE BLUES BROTHERS, AN AMERICAN WEREWOLF IN LONDON) comes a love story transcending the boundaries of nature and good taste. With new introduction by John Landis. Shot over twelve days on a micro-budget, SCHLOCK launched the careers of both Landis and legendary SFX artist Rick Baker (MEN IN BLACK, VIDEODROME). 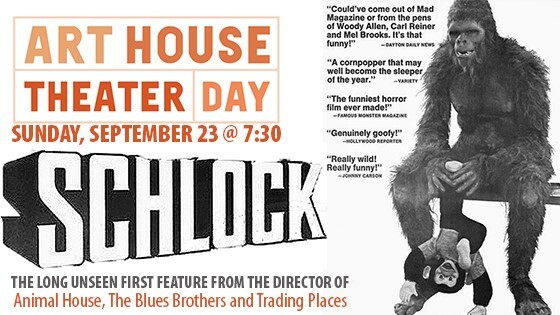 An uproarious pastiche of monster movies, packed to the gills with irreverent humor and biting satire, SCHLOCK is the outrageous missing link between the creature features of yesteryear and its creators' subsequent celebrated careers.